A lot has changed in the way Google displays businesses in the past few years. The changes have come in slowly, so you may not have noticed, but Google Ads that only appeared on the right side of the page have now crept above the left column, pushing organic results down. Businesses that were near bottom on the first page may now be on the second page (or worse). Google is also displaying a “local stack”, kind of a phonebook listing at the top of the page for searches it considers local (like “plumber”). But you can produce a “local stack” for almost any business if you add the words “in Cityname” to you query. The local stack is a listing of local business that are close to you location. While not always on target for desktop searches this feature that is really worthwhile when searching from a GPS enabled smart phone. So what all this mean? 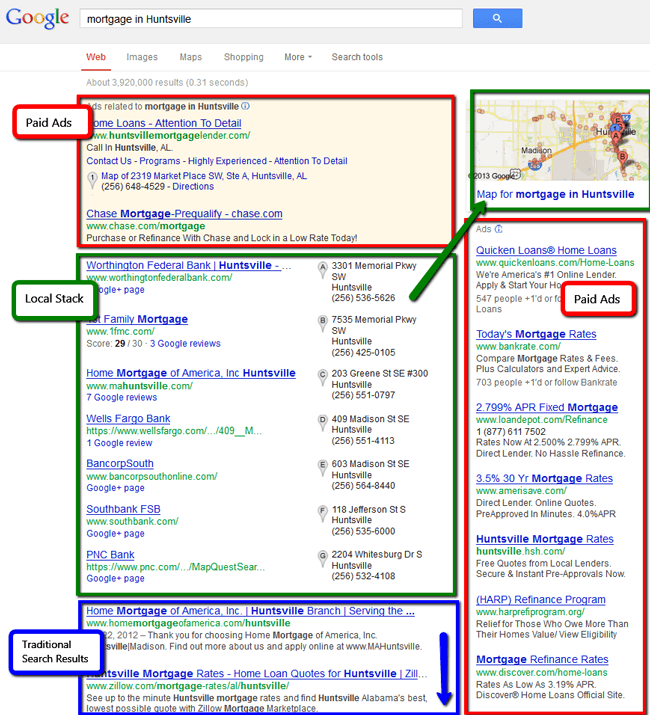 There is tremendous competition now for traditional search results which now are divided among paid ads, local listings. If you’re a local business, getting your website on the first page may not be as important as improving your local business listing.